Statistics show that more than half of Americans have not made a will or plans for their finances after they die. Estate planning is not just financial planning--you are also planning for your own health and well-being. It also means that you are providing your loved ones with an organized inheritance and less stress when your time comes. Most people do not know a lot about probate until a loved one dies, and the ones that do know about it think that it is a long and frustrating process. While the probate process can indeed be lengthy, it does not have to be frustrating or complicated. 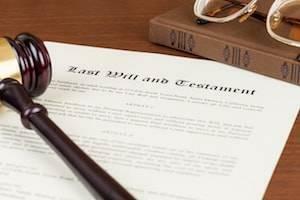 The probate process begins when a petition is filed in the local probate court to place the will into probate and appoint an executor of the estate. If the deceased person did not have a will, the petition will ask the court to appoint a person as an administrator for the estate. The notice of the hearing must be given to all beneficiaries, which allows them to contest the will in court if they object to the terms of the will. The notice should also be published in a newspaper in the county in which the petition was filed. When people get in over their head with debt, the laws of the United States have provided legal options to help. Bankruptcy is a legal way for people to be released from liability for their debts. The bankruptcy process occurs in a court with a judge and a court trustee who will examine the ability of the person to pay their debts and decide whether or not their debts should be discharged. 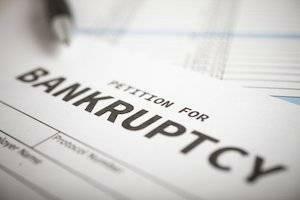 There are two different types of bankruptcy that the majority of bankruptcy cases are filed as: Chapter 7 and Chapter 13 bankruptcy. The majority of bankruptcy cases in the United States are filed as Chapter 7 bankruptcies; these accounted for 63 percent of cases in 2015. A Chapter 7 bankruptcy is what you usually think of when you think of bankruptcy--all of your debts are discharged if you are granted a bankruptcy under this chapter. If you have a child, it is important to decide what will happen to them in the event that you and your spouse die. In a will, you can name a guardian to take care of your child, but you should also state what assets the child might inherit and who is to take care of those assets until the child is old enough to gain access to them. 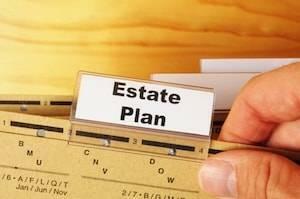 If you need something more extensive than a will, a trust might be the best option. 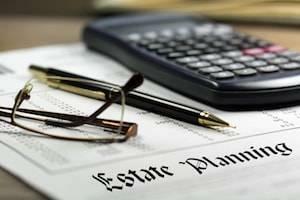 A trust allows another person to hold assets on behalf of the person receiving them, and it can minimize estate taxes. 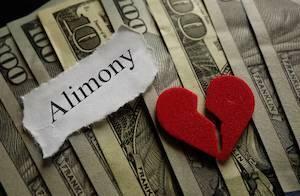 In many divorce cases, one spouse may be required to pay spousal maintenance (also known as alimony or spousal support) to the other for a certain period of time following the end of the marriage. This typically occurs in situations in which one spouse earns a higher income, when a parent has chosen to remain at home to care for children rather than earn an income, or when one spouse helped the other obtain education or pursue career advancement. Spousal maintenance is meant to help a spouse continue living in the manner they were used to during their marriage while allowing them to become financially self-supporting. Spouses who expect to receive or pay spousal support after their divorce should be aware of some recent updates to Illinois law that may affect them. In Illinois, the amount of maintenance is determined by subtracting 20% of the recipient’s gross income from 30% of the payor’s gross income. This amount, when added to the recipient’s income, cannot be larger than 40% of the spouses’ combined incomes. 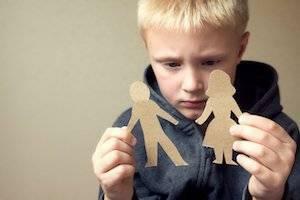 Avoid conflict in front of children - When a marriage breaks down, it can be hard for spouses to be civil to each other. However, it is important to avoid arguing in your children’s presence, since this can make the process more difficult for them. Work to resolve your differences in a respectful manner without involving your children in any way. Work together with your ex-spouse - While cooperation with your ex will likely be difficult, you will need to be able to work together as co-parents in raising your children. Ideally, you should both inform your children of the divorce together after agreeing on what you plan to say, and you should establish ground rules that both of you will follow during your respective parenting time. Offer reassurance - Children often feel that they are to blame for their parents’ divorce, so it is important to make sure they understand that it is not their fault and that both you and your ex-spouse will always love them and be a part of their lives. Take some time before introducing a new love interest to them, since additional changes to their lives can lead to stress and uncertainty. See a therapist - Avoid talking to your children about the reasons for divorce, complaining to them about the other parent, or relying on them for emotional support. Instead, visit a therapist to discuss your feelings. Children may also benefit from seeing a counselor who can help them work through their emotions and learn how to adjust to the changes in their lives. Consider mediation - Trying to resolve divorce disputes in court can be costly and stressful for everyone involved, including children. Divorce mediation allows couples to address their legal concerns in an amicable, cooperative manner, establishing methods for working together as they continue to raise their children in the years to come after their divorce. If you are considering divorce, or if you need help resolving issues related to your children as you work to reach a divorce settlement, the attorneys of Anderson and Associates, P.C. can provide you with the representation you need. 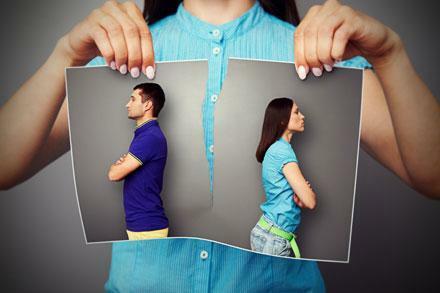 Contact an Orland Park divorce lawyer today by calling 708-226-9904 to arrange a free consultation. Marriage is a wonderful thing when both spouses are able to work together as partners, but if your relationship has broken down, it is understandable to want to leave a difficult situation and embark on the next phase of your life.